Mobile device security can be a complicated and broad topic to take on for any company. Oftentimes it is hard to find a place to start to ensure that all types of mobile devices don’t threaten your industry. 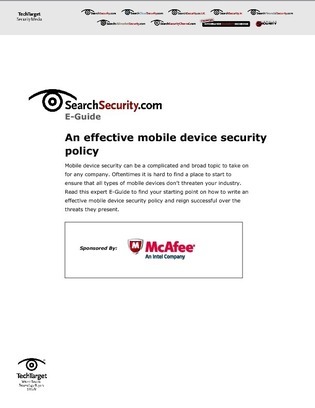 Read this expert E-Guide to find your starting point on how to write an effective mobile device security policy and reign successful over the threats they present.